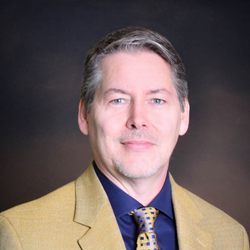 Pine Grove Behavioral Health & Addiction Services in Hattiesburg, Mississippi welcomes a new medical director and two other noted physicians. Pine Grove also recently welcomed the addition of two other noted physicians to their medical staff, Dr. Charles Richardson and Dr. Siddeequah Bilal. Dr. Richardson completed his medical education and Psychiatry Residency at the University of Mississippi Medical Center, and his fellowship in Addiction Psychiatry at Emory University, in Atlanta, GA. At Pine Grove, Dr. Richardson specializes in the care of adult patients receiving inpatient and outpatient addiction treatment. Dr. Siddeequah Bilal earned her Masters of Public Health degree in Epidemiology from the University of Michigan in Ann Arbor, MI, and completed her medical education and psychiatry residency at the University of Mississippi Medical Center. Additionally, Dr. Bilal was a Maternal and Child Health Research Fellow through the Association of Schools of Public Health. Dr. Bilal treats adult patients within Pine Grove’s Outpatient Services Department including the treatment of women with prenatal, perinatal, and postpartum mental health care issues. Pine Grove’s world renowned programs treat gender specific chemical addiction including a specialized track for co-occurring eating disorders. Additionally, Pine Grove offers a substance abuse healing program for adults age 55 plus. Other Pine Grove specialty programs include a dedicated professional’s treatment curriculum and a comprehensive evaluation center. Pine Grove also features a program for patients with sexual addiction. Inpatient Services including an Adult Psychiatric Unit, along with a Child and Adolescent Psychiatric Unit, and Outpatient Services are other components. Pine Grove was established in 1984 and has provided nationally and internationally recognized health care for nearly 35 years.